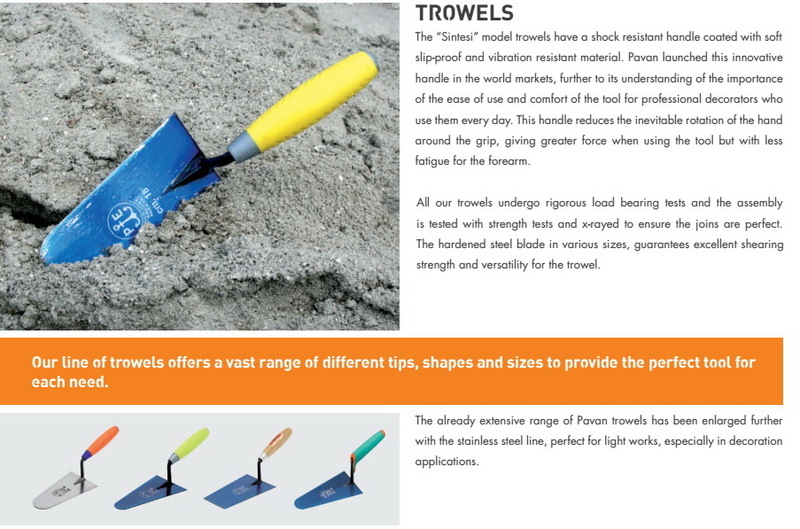 817/RS Reinforced PCV plastic white base trowel. Blade thickness: 0.08 in. "sintesi" handle. 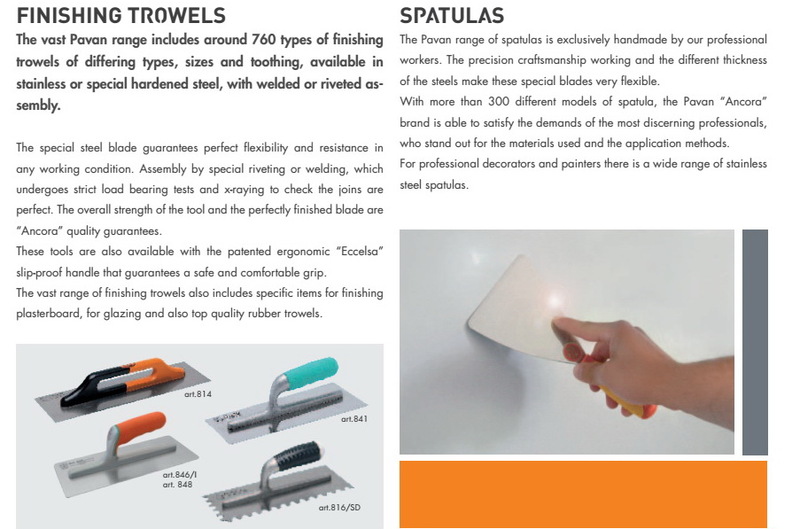 817/PV Pavan Plastic handle PVC finishing trowel for decoration. Blade thickness: 1mm- 0.039 in. 984/I Stainless steel round tip little trowel. "Sintesi" handle. 982/I Stainless steel square tip little trowel."Sintesi"handle. 946/I Stainless steel large square tip trowel. "Sintesi" handle. 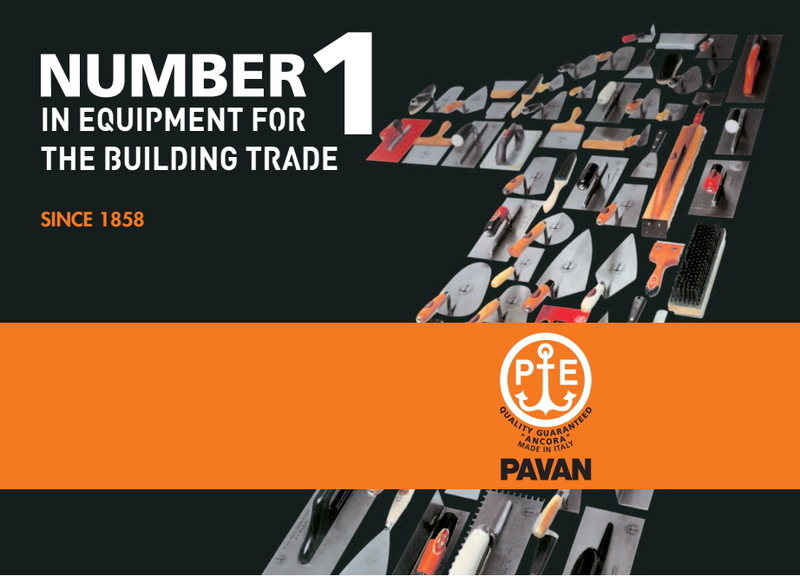 With a range of more than 1500 professional instruments that are entirely produced in their factory and 150 years of production history, Pavan and the "Ancora" brand all stand for quality, experience and innovation to serve the most discerning professionals. 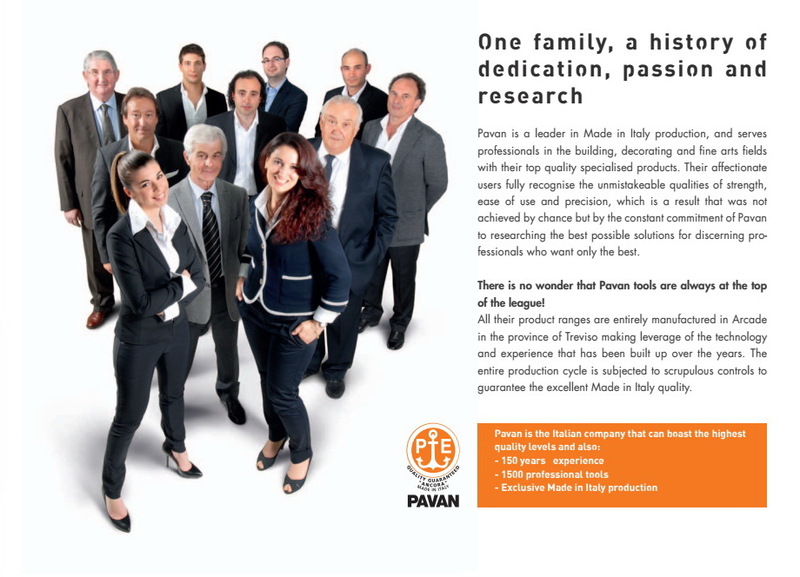 The scrupulous choice of materials, innovative production technology and constant production process monitoring are the strong points of the Pavan "Ancora" brand, which is known throughout Italy and the rest of the world as the perfect blend of respect for traditions, modern production processes and total consumer satisfaction. All the "Ancora" brand products are entirely designed, produced and tested in the company factory in Arcade, near Treviso, to guarantee the excellent quality level of Pavan products is totally made in Italy. 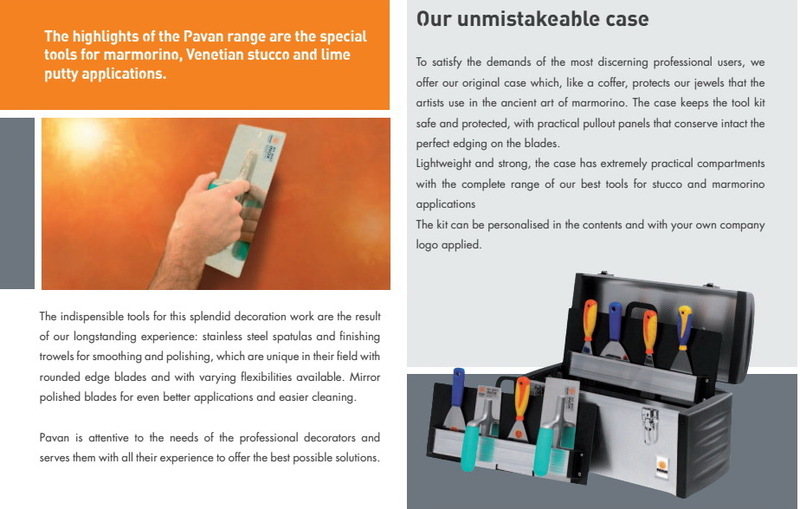 Atova International is an importer and distributor for Italian Plasters and Tools. 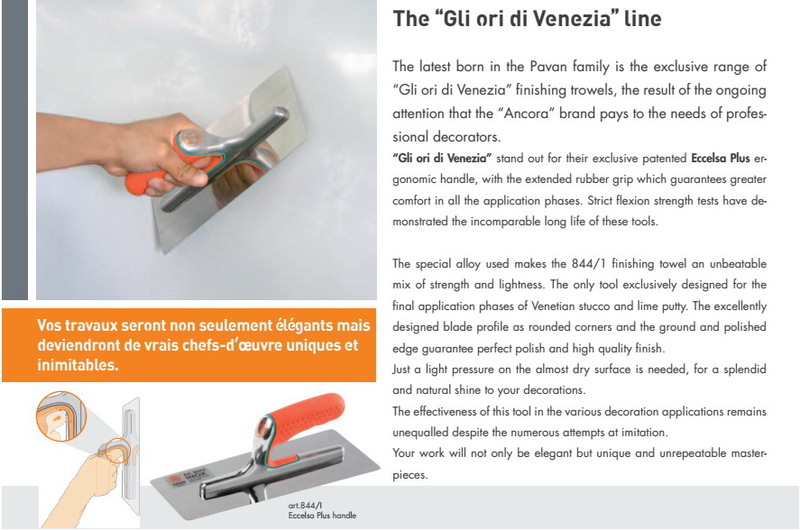 We are your online source for all types of Venetian plasters, and decorative plastering tools. We offer Venetian and Lime Plaster Classes, both group and private.